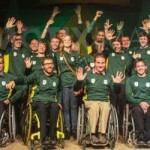 Pretoria – The President of the South African Sports Confederation and Olympic Committee (Sascoc), Gideon Sam, has set a target of 12 medals for Team SA at the upcoming 2012 London Olympic Games. In 1996 in Atlanta, Team SA scooped five medals, followed by another five in the 2000 Sydney Games. The medal tally improved marginally to six in 2004 in Athens, but fell below any expectation when the team only brought home one medal from the 2008 Beijing Olympics. “We have set ourselves a target of 12 medals … If you do not set the target, you would probably end up with only one medal. “You look into athletics and you say the minimum that you can get is about three medals. I’m not talking about maximum and you say out of swimming, the minimum that you can get on the day is three medals, so you are at six now. In cycling, you can expect one or two and in rowing, we are hoping to get one. “Our boxers are young and enthusiastic, but my only concern is that they may make a mistake over their enthusiasm. However, on the day, one of those boxers should get a medal. You see how we’ve tried to put these things together and we are working on minimums,” Sam said in an exclusive interview with SAnews.gov.za. He said Team SA should maintain the high performance it displayed at the All Africa Games in Mozambique, where they finished on top and were far ahead of number two. “When we go to the Olympics, we must continue to be number one in Africa. Targeting 12 medals in my book is realistic. “The day I was elected in November 2008, I said that we are going for 12 medals. I’ve been in sport for over 30 years, I know the strength of South African sport…” said Sam. 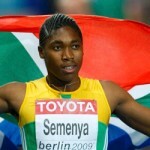 He added that South African athletes should use the 2012 London Olympics to improve their performance. 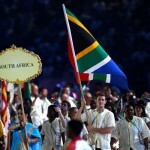 Sam said he would be disappointed if Team SA’s tally fell below five medals at the Olympics. According to the Sascoc President, all athletes who are in the country will assemble at camp at the High Performance Centre in Pretoria on July 17. On July 18, the team will take action to change the world for the better by spending 67 minutes as part of Mandela Day. Later in the day, the team will be hosted by President Jacob Zuma at the Presidential Guest House in Pretoria, where they will have dinner and an official send-off before they depart to England on July 19.